Uncover new prospects: Pick from a wide variety of search selections to find the right business prospects. To access your leads anytime, download our handy mobile app. 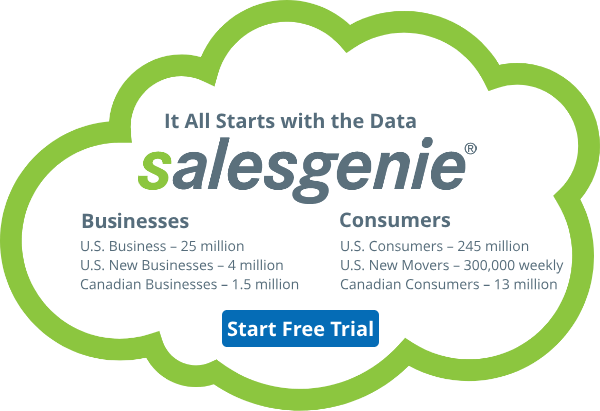 Manage your leads and track progress: Work more efficiently with Salesgenie Team, which enables you to assign leads, track progress, and measure success. Market your merchant services: We make it easy to create direct mail and email campaigns. You can also use search engine marketing to advertise on Google™ or the Yahoo!®, and Bing™. You’ll also get personalized assistance from a dedicated marketing expert. Just pick up the phone and call anytime you need help or advice.